I did NOT have to ask another women in the grocery store if she was a mom. When she said "yes," I did NOT have to ask her if she knew where the chicken nuggets were. I mean really! What kind of mama doesn't know where the chicken nuggets are? I did NOT feed my boys our red velvet wedding anniversary cupcakes for breakfast one morning. I did NOT think, "Well, their crazy sugar rush won't be my problem since I'm not working at school today!" I did NOT eat one of those cupcakes for breakfast myself. I did NOT start a bad bedtime habit for Logan by taking him for a walk in the stroller to fall asleep. I certainly did NOT do this while wearing my pajamas...no matter what my neighbors say. I did NOT gag when I noticed that there was mold growing in my toothbrush. I did NOT not have a spare so I did NOT use one of my kids' toothbrushes. I did NOT think "Ha! Now you know what it feels like!" when Jack was trying, unsuccessfully, to get Logan's attention by saying his name over and over again. Aren't I the gracious hostess? You've heard me mention how blogged down I've felt lately. I don't think I'm really any busier than usual so I'm not sure why I'm getting so behind. But I'm so behind that I have tons of awards and tags coming out at the seams. I'm not exaggerating...I have 7 awards and 2 tags! 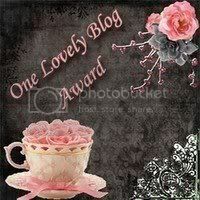 The Entertaining House's Jessica and A Sense of Humor is Essential's Martha both awarded me the One Lovely Blog Award. Martha at A Sense of Humor is Essential also awarded me the Queen of Alll Things Awe-summm!!! Award. In order to keep this crown, I have to list 7 Awe-Summm things about myself. I love my kids and husband with every fiber of my being. I'm not afraid to make a fool of myself in public for the kids. It only took me 2 weeks to write this post. I'm trying to do small things to help our planet for the sake of my kids. Veronica Lee of Of Mice and Ramen awarded me 4 unique awards. 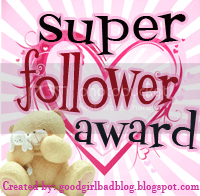 Christina at Rant-Rave-Roll passes on the Super Follower Award to me. Christina, of Rant-Rave-Roll, also tagged me with 6 Unimportant Things That Make Me Happy. 3. Tag six blogs, state the rules & notify them with a teeny comment on their blog. 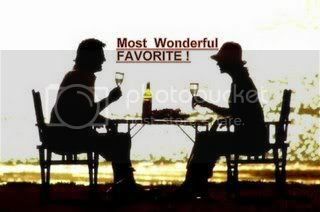 Enterainingmom, Jessica, of The Entertaining House passed on the '5 favorite things about summer tag' to me. What a weight off my shoulders! Whew... I feel so much better. I just hope that I didn't forget any. Lately I've felt very, very behind on writing blog posts but even more so on reading your blogs and commenting. As Mimi would say, I'm feeling very blogged down. So I must be insane to consider joining Facebook and/or Twitter. Why do I need to add more instant technology to my life when I'm already feeling like I'm failing at what I've got? I've taught the boys that it is not nice to tease. So it's ironic that we have an ant farm on the dinner table, right? Unusual centerpiece, huh? Poor little ants want our dinner but all they have to eat is that weird blue gel. Seems weird to me but the boys love, love, love balsamic vinegar. Logan, if given the chance, will dip his hand in the container and then stick it in his mouth. Yummy! Is there anything better than siblings getting along? The boys are reading their Lego magazine together. Today I worked at the boys' school which means that we can not be late. Jack was having a rough morning but we were in the home stretch. Just socks and shoes and out to the car. But, of course, there was some sort of meltdown regarding these final tasks before leaving. So I did what I always do...I told him that I was going to leave without him. You've said this to your kids, right? I'm not the only heartless mama threatening to abandon her kids when the going gets tough and well, when it's time to go. Right? "Jack, come here and let me put your shoes on or you are staying here while Logan and I go to school!" "I mean it...I'm leaving and you will be home all by yourself," I said sternly. "Logan, head out to the car. Your brother isn't coming with us." "Jack, we'll be gone for...about 5 hours. That's a really long time." I'm still all business at this point. "I mean a really, really long time. Like 3 movies long." "Don't go poop while I'm gone, okay? Because I won't be here to wipe you." "And you might get hungry while I'm gone but the food is hard to reach so you'll just have to wait...5 hours before you can eat." "And don't forget to put yourself down for a nap." "Ummm...Marley will be in the backyard in case there is a problem." "But dogs can't really help out too much so you are really on your own." At this point, I shut and locked the sliding glass door. I was outside heading to the car and Jack was on the other side looking like he had not a care in the world. He happily waved at me. I opened the car and put my bag in. I climbed in and buckled up Logan. I opened the garage door. I snuck a peek back at the sliding glass door. Jack was sitting on the sofa playing with some Lego people. Tough love was not working. Hmmm...what's a mama to do? I headed back to the house and opened the door. I decided to try the old softie approach. "Jack, I'm going to miss you today. Won't you please come with us?," I said in a sweet sing-song voice. "Nope...I'm going to stay here." At that point, I took a deep sigh entered the house and began doing what any defeated self-respecting mama would do. I killed him with kindness...I tickled him. I smothered him with kisses. He was laughing so hard that I was able to pick up his socks and shoes, tuck him under my arm, turn on the alarm and lock up the house. Once in the car and finally on our way, Jack told me the reason he was going to stay at home today. "I didn't think you could handle two of us." "The two of us boys. I didn't think you could handle both boys today." "Oh, gee. Thanks, I guess." Part 2 of this post is my weekly pic with the boys as part of Carin at Forever in Blue Jeans's challenge. Here they are having strawberries, bananas, whipped cream and a couple mini chocolate chips. "Jack, how about a little bite for your mama?" "Lady, quit looking at my dessert!" Notice they neither of them would look at the camera. They were a bit preoccupied, I guess. 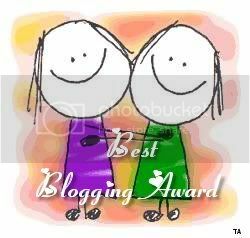 Lately lot's of blom's (blogging mom's) posts are filled with "Hurray! Summer is here!" Am I the only one shaking with fear in my flip-flops? Surely there are other bloms out there worried about how to fill 90+ straight days with their very own kids. Next week is the inaugural (sounds fancy, huh?) edition of Tuesday's Tips for Summer Survival (TTSS). It's a way for other scared shitless mamas concerned parents to share alcoholic mixed drink recipes kid-friendly tips so we can end up on the other side of this summer with what little sanity we had when we started. We are always encouraging our crazed monkeys little ones to share so isn't it a good idea that we lead by example. Don't hoard that good idea all to yourself. Share it and know that you could be saving another mama's sanity! There are no limits. If you've done it (or even just thought about doing it) with or for your kids, then pass on the activity, recipe, craft, etc. A project big or small. An activity quick or lengthy. An idea for a younger or older kiddo. Even if it's something local or specific to your area, it might spark an idea in another mom to look for a similar activity in her own city. Even if it's an old post that you want to link to, we don't care! We need all the inspiration we can get! So long as your kids had fun (or will have fun) doing it, then share the idea. And I hope you'll post a picture...or two...or three. We have a tiny inflatable pool that my boys can barely both sit in let alone play in. Last summer I realized that if I lifted the rarely used slide of our jungle gym and slid the pool under it (before filling it with water) we had an instant splash (pun intended)! This is what we did today and it was followed up with my ice cube tray smorgasbord lunch. You could save a mama...well, her sanity at least! Recently, I realized that instead of buying a traditional gift bag I could do better. I'm now using reusable shopping bags as gift bags. The price is comparable (and often cheaper). Once the present is out of the bag and being played with, mom can use the bag for shopping, sand toys or another gift. So one less piece of trash in the landfill. I've seen cute bags at Ikea, The Disney Store and Toys R Us. This week I was late getting a pic...but better late than never. Scott took these pics of the boys and I in our backyard on our way out to school this morning. No special occasion... Just a mama and her two boys on a typical day. Every Thursday I participate in a weekly challenge to make sure that I am in more pictures with my kids. (Click here to see some of my past posts.) And I am loving this challenge. I know that I will never revert back to my old ways of only photographing my kids. But nearly every week, I complain about how I look in the photo. I generally say something like "this isn't the best photo of me but at least I'm in it." It got me thinking about what I do consider to be "the best photo of me." Of course, I don't actually think I look great in the following photo. It was a ridiculously hot and long day at the animal park. But the photo was taken by Jack. He was two years old at the time. I was mid-sentence and probably asking him to quit fooling with the camera and to keep up. I guess what I love about this photo is that this is how Jack saw me, his mama. If your kids don't have a camera, it's high time to get them one. No, the quality isn't great but I love seeing the world through their eyes. For the longest time nearly all of Jack's pics were his feet and Logan's were of the ceiling or sky. Luckily they've gotten a bit better as the years have gone on. My 52 Week Challenge post will be a bit late this week. I hope to get a pic of me and the boys tomorrow...but I'm sure it won't be half as special as the one Jack took of me almost 2 years ago. We asked a good friend to perform the ceremony. She had to be deputized by the county clerk's office to make it legit. Our wedding was very small. So small in fact that we didn't have a wedding party. When Scott and I were just best friends we had joked that one day I could be his "best gal" at his wedding and he could be my "man of honor" at my wedding. So when we started dating each other and got engaged it just didn't seem right to ask anyone to fill those spots. We were, and still are, each other's best friends. Not quite the first kiss as husband and wife but close. My vail was a bit on the long side and had blown around behind Scott. We had a rather long walk back from the beach and man...was my dress heavy! My dad shot this photo and it's one of my favorites. We had a red velvet wedding cake just because I thought a red cake would be cool. (Though it's worked out well for anniversaries because I can buy a box mix and whip up some red velvet cupcakes for the family.) On our cake table we displayed photos of our parents cutting their cakes on their wedding days. Happy anniversary to my wonderful husband! The wedding was an amazing start to the amazing life we've created. I feel so lucky to be your wife. Last week, I mentioned Tuesday's Tips for Summer Survival. TTSS will be a weekly carnival from June 2 to September 8 because mamas need all the help they can get when the kids are out of school. I have to admit that this weekly carnival was designed for purely selfish reasons. I could say that it was designed by a mama for other mamas. But who am I kidding? So, if the rest of you mamas get something out of this weekly carnival, then great! So, whether it's outings or backyard fun or indoor time, please share your ideas. It could even be something local, like a kids concert series, that might spark an idea in another mom to look for a similar activity in her own city. There are no limits. If you've done it (or even just thought about doing it) with your kids, then pass on the activity, recipe, craft, etc. Next week I'll do an sample post to work out any Mr. Linky kinks and hopefully inspire you to participate the week after. Nearly every week I write a "Not me!" Monday post. I'm obviously a perfect mother as evidenced by my lists of all the things I never ever do. I thought that this week I prove what a perfect wife I am too. I did NOT do absolutely nothing for my husband's birthday. He did NOT buy the ingredients and make his own chocolate eclairs. He did NOT have to buy and wrap his own birthday present. I did NOT take a roll of toilet paper out of my husband's bathroom to refill mine instead of getting a new roll from the closet. I did NOT find a dirty pan put away in the cupboard. I did NOT automatically assume that my husband put it there (even though I know perfectly well that it could have easily been me). I did NOT do absolutely nothing for our wedding anniversary. I mean, of course, I would do something spectacular considering all I did NOT not do for Scott's birthday. When talking to a friend about our wedding anniversary and she asked in what year Scott and I were married, I did NOT say, "2003, I think." The moral of this post is...I need to get the car detailed! I was a bit scared but I thought I'd take a little peek into the nooks and crannies of our car. And last but certainly not least, somewhere in my car is my camera lens cap which I managed to lose while taking these photos! Save a mama...well, her sanity at least!